Best known for his theory of electromagnetism, James Clerk Maxwell (1831-79) was Cambridge University's first Cavendish Professor of Experimental Physics. Albert Einstein described his work as 'the most profound and the most fruitful that physics has experienced since the time of Newton'. He carried out brilliant work in thermodynamics and statistical mechanics, laying the foundation for the kinetic theory of gases. This book, published originally in 1871, summarises his work in this field. It includes the 'Maxwell relations' that still feature in every standard text on thermodynamics. It also outlines his famous thought experiment, later named Maxwell's 'demon'. This idea, which appeared to contradict the second law of thermodynamics, would inspire scientific debate well into the twentieth century. More recently, it has sparked developments in the new sciences of nanotechnology and quantum computing. 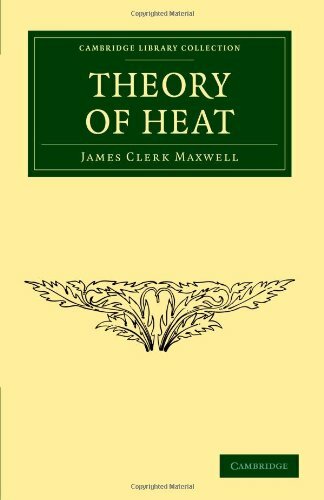 About James Clerk Maxwell (Author) : James Clerk Maxwell is a published author. Some of the published credits of James Clerk Maxwell include Theory of Heat.